Today, Nov. 5, is Election Day 2013 in Pennsylvania. Mostly on the ballot are races for municipal offices such as county council, township commissioners and school board officers. There is, however, a retention election for state Supreme Court justices Ron Castille and Max Baer, who cowardly ducked the photo voter ID issue in 2012. Vote no in it. Neither fellow will be able to complete another full-term, anyway, due to the mandatory 70-year-old retirement age. In Castille’s case that particular milestone is reached on March 16. State Supreme Court Chief Justice Ron Castille and Justice Max Baer face retention elections Tuesday, Nov. 5, and both should be rejected. Voters, in fact, should be willing to crawl over broken glass and dance on hot coals to hit the “no” button. The specific reason for ire is their cowardice in failing to allow the common-sense photo voter ID law — overwhelmingly supported by the state’s citizens — on the specious grounds that it needed more discussion before the 2012 presidential election. Note it is now November 2013 and the law remains on hold. There is a general reason as well, namely that the state’s judiciary are almost universally far more inclined to listen to the power brokers who milk the tax cow for a lucrative living, hence throwing a few of them out might, just might, make them a tad more inclined to respect the people who their decisions most affect. Another point, the mandatory retirement age for a Justice is 70 and neither man will be able to complete a full 10-year term as Castille hits that mark on March 16 and Baer turns 66 on Dec. 24. Why are the even seeking another term? Is it to squeeze out even more of their sweet salaries — $205,415 in Castille’s case; $199,606 in Baer’s? Castille is a Republican. Baer is a Democrat. Scott Ott, the Tea Party supporter who is crusading for fiscal sanity and against cronyism and corruption, beat the Republican establishment in Lehigh County to run as the party’s nominee for county executive. The rank and file in Tuesday’s primary chose him over party-supported Dean Browning, a former county commissioner, 6,837 to 5,429 (unofficial results). He faces Democrat Tom Muller in November. Tomorrow, May 21, is primary election day in Pennsylvania and as this is an odd-numbered year just about everything on the ballot will involve local or county races. Remember, cross-filing is allowed for school board and judicial races so unless you are following things closely you’re probably best off following the sample ballot distributed by party workers in those races or you will wind up with someone whose philosophy is vehemently different than your own on your party’s ballot in November. In the other races, where cross-filing is not allowed, if you are happy with what your party has been doing, well, follow the sample ballot. If not, though, maybe not. Democrat from Allegheny County. Expect to see some noise made about that over the summer. As you may know, William “Chip” Mackrides (A-3) and Richard M. Cappelli (A-6) are the endorsed Republican candidates for Judge of the Delaware County Court of Common Pleas. With the Primary election less than a week away, the Democratic candidates for judge have launched a dirty-tricks campaign to deceive Republican primary voters into thinking they are actually the Republican candidates. Candidates can cross file in judicial races. · Push buttons A-3 and A-6 to support Mackrides and Cappelli, the ONLY Republican candidates for Court of Common Pleas on the ballot. The other two candidates are longtime registered Democrats. · Mackrides and Cappelli are the ONLY candidates for Judge voted “Well Qualified” by the Delaware County Bar Association to serve as judge. This is the Bar Association’s highest possible rating. The Democratic candidates were deemed not recommended/no opinion. · Mackrides and Cappelli are supported by local law enforcement and are the ONLY candidates endorsed by the Delaware County Fraternal Order of Police. · Mackrides and Cappelli have the support of the men and women of our local trade unions. They are the ONLY candidates endorsed by the Delaware County Council of the Philadelphia Building and Construction Trades, with more than 25,000 members from 14 unions. Wyda Quits State Judge Race — Allegheny County Judge Ron Wyda has withdrawn his name from the ballot in the Republican primary for Pennsylvania Superior Court, reports activist Bob Guzzardi. His departure leaves Cumberland County attorney Vic Stabile with a clear path to the nomination. Superior Court and county court judges will be on the ballot for the May 21 Republican Primary and the election provides a perfect opportunity for the grassroots to send a message to the uncaring establishment which does not listen to its own base, notes activist Bob Guzzardi. Few pay attention to these races as important as they are, he says. Rob Wyda, who served as a JAG officer in GITMO, Afghanistan and Iraq is the choice for Superior Court of those who care about this state and want to end business as usual, Guzzardi says. The establishment candidate is Vic Stabile, a partner with uber-connected law firm Dilworth Paxson LLP. Guzzardi has written an open letter to Stabile (below) explaining why he can’t support him. Mostly it is due to those with whom he associates, namely the party establishment which is is in bed with Democrats when it comes from transferring wealth from the forgotten taxpayer to the politically connected, he says. Birds of a Feather….You have chosen your associates and, although you are, clearly, intelligent, well-informed and very experienced, you have chosen to associate with obstinate, self-serving, incompetent blockheads who do not hear the anger and anguish of the grassroots, the Forgotten Taxpayers, and the middle class working people who are being exploited by ever escalating size and cost of government and are selling out the loyal and credulous Republican voter. To learn more about the leadership of the state party, click the links below. You may think it “guilt by association” but when you associate with the guilty, what is any common sense person to think: “birds of a feather flock together”. • LeRoy Zimmerman profited from his position at Hershey Trust ( a charity for disadvantaged children or Republican slush fund) “When Leroy S. Zimmerman was named in late 2002 to the board of the small state-chartered Pennsylvania bank that managed the assets of the Hershey charity for disadvantaged youth, the post paid about $35,000 a year and came with restrictions. For the tax year that ended July 31, 2010, Zimmerman, 76, earned $500,000 – for the second consecutive year. His total compensation on Hershey-related boards in less than a decade is $1.9 million.” Bob Fernandez Inquirer 20 July 2011 Inquirer. • Harrisburg Bond Bailout was engineered by Republican lobbyists Stan Rapp and Greenlee Partners and note involvement of John McNally, Andrew Giorgione, Jeff Haste Mike Pries, A.J.Marsico (Dauphin DA’s brother) Insiders Profit; The Forgotten Taxpayers of Pennsylvania pay for the fiscal profligacy of Harrisburg elected leaders…bankruptcy was an option but then bondholders would have had to take a haircut; Bondholders Happy; The Forgotten Taxpayer, not so much…. • $22,500 to Mike Long, former top aide to then-Senate President Pro Tempore Robert Jubelirer of Blair County. • $19,647 to Drew Crompton, then a top lawyer on Jubelirer’s staff. • The House Republicans, who spent $30, 000 trashing the good name of a good man, now Representative John McGuiness who primaried and defeated Jubelirer Republican 34 year incumbent Rick Geist, (for whom phony Charlie Gerow campaigned), owe The Forgotten Taxpayers of Pennsylvania TWENTY MILLION DOLLARS (AG Corbett’s Grand Jury Presentment PART 1,page 1, paragraph 3 – hat tip Signor Ferrari) (Grand Jury Report: Part 1, Part 2 & Part 3) and very informative press release. Then Speaker Perzel signed the $10,000,000 computer contracts for technology and expertise was co signed by now Republican Speaker Sam Smith who, it seems, knew nothing. • Mike Long and Todd Nyquist Two Faced Double Talkers, one could almost mistake them for Democrats but wait…they represent Union Aristocrat Wendell Young IV of the United Food and Commercial Workers Union(next to last page), currently, and vociferously and disruptively, opposing Liquor Store Privatization as well as the Corbett favorite Shell Oil (9 from last page). Krystjan Callahan is Majority Leader Mike Turzai’s chief of staff and wife Megan Callahan is lobbyist with Long and Nyquist. Megan Crompton is wife of Senate Republican staffer Drew Crompton who was never investigated by AG for Bonusgate violations. Shohin Vance is grandson of faux conservative Republican Senator Patricia Vance. • These two cases are important because Article III is important. The Supreme Court have been too deferential to General Assembly’s excesses. This is how we got Gambling. Vic Stabile provided the links 2011 Superior Court case Sernovitz v Dershaw where Pennsylvania Constitution’s Article III, Section 3, Single Subject Rule, was upheld by Pennsylvania Superior Court in a case invalidating a section of Act 47 of 1988 Abortion Control Act and Pennsylvania Association of Jury Commissioners v Commonwealth (Act 108 of 2011 Senate Fiscal Note) where the Supreme Court upheld the Pennsylvania Constitution’s Single Subject Rule. Bob Guzzardi Camp Hill is independent of any party, candidate or campaign and is approved of by no one. Bob Guzzardi Likes Rob Wyda — Activist Bob Guzzardi says he will be voting for Rob Wyda to be the Republican nominee for state Superior Court on May 21. Guzzardi says Wyda is not endorsed by the GOP establishment. The GOP establishment has a bit to do to regain its credibility with many who would otherwise be inclined to support it. Bill Clinton Seeking Delco Council Seat? Bill Clinton Seeking Delco Council Seat? — Bill Clinton, the Upper Providence councilman with the fortuitous name, is reportedly going to be one of the Democrat nominees taking on incumbents Mario Civera Jr. and David J. White for Delaware County Council this November. His running mate is expected to be Patricia Worrell of Chester, the community activist who lost to Dominic Pileggi in the 2012 9th District State Senate race. The GOP is saying that Clinton and Ms. Worrell will be strong supporters of “urban diversification” which means giving Democrat voters from Philadelphia who are eligible for Section 8 Housing benefits extra money to buy homes in communities in which jobs are available such as Springfield, Concord and Middletown. Why not give subsides to the homeowners already in the communities? We can call them property tax cuts. Someone is going to say that “Democrat voters from Philadelphia” is a racist “code word.” Understand that it is not. It is meant to be taken literally. We are saying that the goal of programs like “urban diversification” is not fairness or “social justice” but greed. We are saying that supporters of such things seek to use the power of government to take money from their opponents to bribe others to give them support to ultimately empower, and enrich, themselves. These programs are vile as are the people who support them. Hey Democrats: Greed is bad. Start fighting injustice instead of perpetuating it. Of course, maybe the GOP is wrong and that Clinton and Ms. Worrell don’t support this plan. In that case Clinton and Ms. Worrell should easily be able to articulate why this program is unjust and must be opposed, and come out against it as vocally as any Republican without fear of someone finding something in their background showing they once strongly supported such things. In other races, the county GOP is endorsing Mary McFall Hopper of Ridley Park for county sheriff and Jennifer Holsten Maddaloni of Thornbury for register of wills. The Democratic candidates are expected to be Rocco Polidoro of Springfield for sheriff and former Media Mayor Frank Daly for register of wills. The GOP is endorsing incumbent Edware E. O’Lone for county controller. As of now, it appears he will be uncontested. The GOP is endorsing for Common Pleas Court judges Richard Cappelli, a longtime magisterial district judge based in Concord, and William “Chip” Mackrides of Edgmont who is vice president of the Delaware County Bar Association. Author BillLawrencePosted on February 21, 2013 October 18, 2017 Categories Election 2013Leave a comment on Bill Clinton Seeking Delco Council Seat? 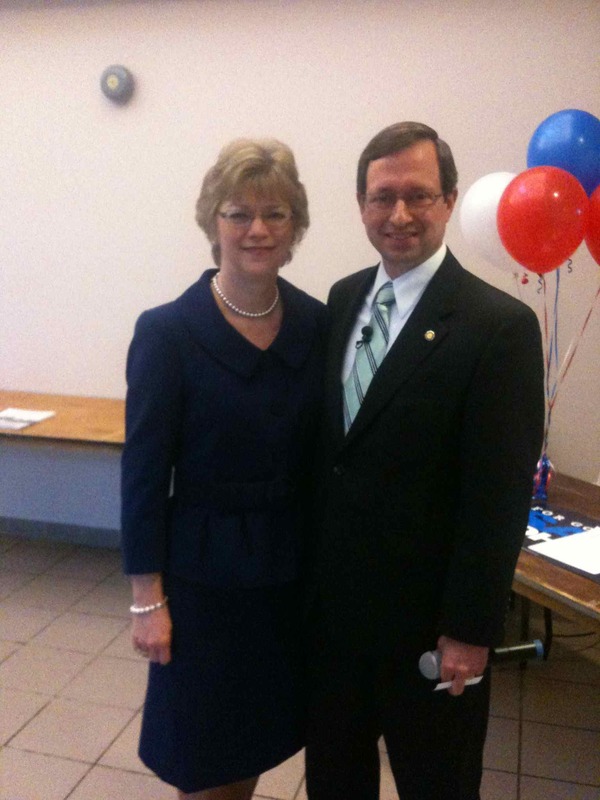 Sam Rohrer Checklist — Sam Rohrer, as a member of the Pennsylvania House representing the 128th District, estimates he casts 120,000 votes before declining to run for re-election in 2010 to concentrate on a bid to be governor. He dealt with each vote in accordance to a checklist he devised and he says he never violated its principles. Does it strengthen individual freedom or does it strengthen government control over the individual? Is it inefficient or ineffective? Is there money to pay for it?